How Magazine is the business and creative resource for graphic designers. HowMagazine is an up to the minute resource for ideas, techniques and business advice. 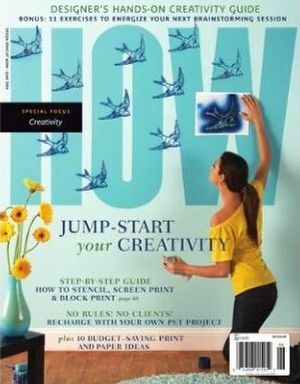 A How Magazine subscription includes special issues devoted to self promotion, Web design, creativity and more. For more than 10 years, How Magazine has inspired designers and helped make their businesses more profitable. When you read HOW magazine, you are plugged in to the latest business, technological and creative information that impacts you as a design professional.